Pilates, Yoga, or general fitness, this session will be 55 minutes with one of our certified instructors. A private session will allow the instructor to give 100% attention to "your" needs and to customize a workout that best suits your body. ALL private sessions are scheduled with the instructor of your choice based on their availability. Please note: if you have booked a private session, this does not mean that the studio is empty. We are a fully operating studio and will have several sessions or classes going at any given time. When booking your private, we do require a full payment prior to your session. A system of exercises that are completed either on a mat for mat work or using a special apparatus. These exercises are designed to improve physical strength, flexibility, posture, and enhance mental awareness. Pilates works deeper in the core unlike any other method of movement. We offer both Pilates mat and Pilates equipment (reformer, tower, wunda chair, cadillac etc.) Each session will have a familiarity to it, but also we sprinkle bits of new and change it up. You will never be bored with this method. 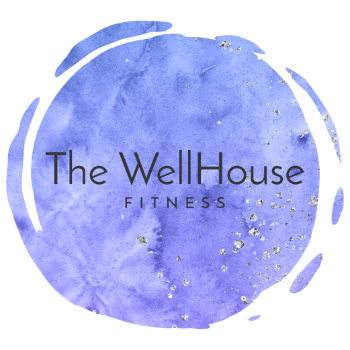 Bounce Fitness (just click for a sample!) is our signature cardio mix classes that utilize JumpSport mini trampolines. There are 2 different types of these signature classes that are offered and have been created and developed by studio owner and instructor, AC who wanted to combine a few of her favorite things. A former competitive cheerleader and dancer, she had created 2 different signature bounce classes that all levels can do. These classes are, Bounce To The Barre, and Cheer+Bounce+Cardio+Sculpt. These classes are fun, challenging, and are sure to give you a full body workout. With the trampolines, you are able to achieve a high cardio workout whilst alleviating the hard impact on your body and joints. We are the ONLY studio in Greensboro, NC to offer any type of bounce fitness on mini trampolines. Please see below for class descriptions. Although there are several styles of Yoga, our studio primarily focuses on Vinyasa Flow. This particular style of Yoga is designed to build and flow through the poses. Each class will be different as the instructors have the ability to change the order of poses. Please bring your own Yoga mat. We do provide mats if you have forgotten yours for a small rental fee of $2.00. In this class, we combine 3 main elements to create a seamless, well rounded, class that hits on every inch of the body. With the 3 main elements of bounce cardio, barre work, and Pilates all combined into 55 minutes of hard work, great music, sweat, and a good time. This class includes a warm-up, LOW-IMPACT cardio intervals using JumpSport mini trampolines, that integrates full body barre work, Pilates, and cool down. These classes will have a max of 10-15 people and are between 45 and 55 minutes long. This is a great way to experience any of the methods we offer in an encouraging and enthusiastic group setting. This 55 minute class will likely have more cardio of the 2 signature classes. This class is mainly driven by simple to follow, yet effective cheer cardio warm-up that builds through out the entire 55 minute class that will include bursts of high intensity cardio on the mini tramps, followed by a full body cheer sculpt session utilizing weights, resistance bands, and balls. You will feel the burn for hours after this class. No cheerleading or dance experience is needed. ALL Bounce Fitness class participants must where tennis shoes and/or trainers to class. Specialized training and techniques for tennis, golf, sports dancers, or any other sport. Utilizes traditional pilates equipment, and more!